Today I found out that in High School, Major League Baseball star pitcher Justin Verlander traded a small percentage of his eventual $3.12 million signing bonus for a 50 cent chocolate milk. This happened while the future MLB superstar was in the 10th grade at Goochland High School in Virginia. Short 50 cents needed for a chocolate milk that day, he asked his friend Daniel Hicks for the money. So I said, ‘How about I give you 0.01% [actually it was .001%] of my pro signing bonus if you give me 50 cents now?’ He found a napkin, wrote it up, and I signed it. I forgot about it, but after I signed [with Detroit], he comes over and whips out this old napkin. I’m like, oh my God! My bonus was 3-point-something million. That worked out to a little over $3K for the industrious Daniel Hicks who turned 50 cents into $3120 in just about five years when Verlander signed with Detroit in 2004 out of college for a guaranteed contract of $4.5 million (max $5.6 million) with a signing bonus of $3.12 million. This might not have worked out quite so well for Hicks had Verlander not come down with strep throat at a key time in High School. At that time, Verlander was regularly throwing 93 mph, but when scouts were coming to take a close look at him at the start of the season, he got sick with Group A Streptococcus (a.k.a. strep throat) and thereafter his velocity dropped to around 81 mph for a good portion of the rest of the season. By the time he recovered most of his velocity at the end of the year (up to the high 80s at that point), the scouts were no longer around, so he went to college. Had he signed out of high school, he very likely wouldn’t have gone nearly so high in the draft and his signing bonus would have been significantly less. In college at Old Dominion University, he drastically bolstered his value in scout’s eyes in the three years he attended, setting a school record for strikeouts in a single game (17), a single season (139 and then broke it again at 151), all-time strikeout leader (427 in 335 innings), and finished with a 2.57 ERA in college. In 2003, a year before he was drafted, he also helped the U.S. win a silver medal in the Pan Am Games. Ultimately he was drafted second overall in 2004, after Matt Bush. His contract was negotiated directly by his father, as Detroit couldn’t reach an agreement with Verlander’s agent. 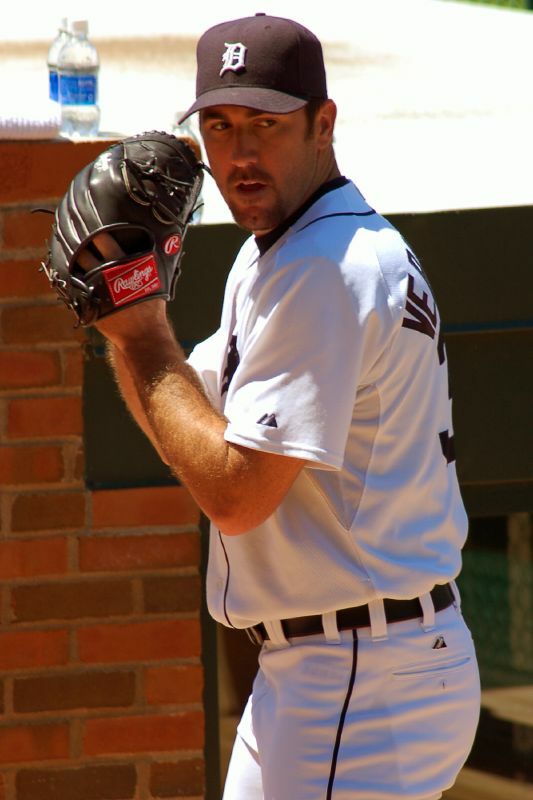 While playing baseball at the age of nine years old, Verlander elicited many complaints to his coach due to the fact that he could throw incredibly hard, for that age, but had almost no control over his fastball. As such, many kids were afraid, and some refused, to step into the batter’s box against him due to his propensity to accidentally hit them with his high velocity pitches. The reason raw milk goes bad so quickly when left out, at least for drinking purposes, is that the lactose in milk ends up getting processed by microorganisms into lactic acid. Depending on the microorganisms performing this processing, this can produce a variety of tasty products, such as various types of cheeses, yogurts, buttermilk, etc. or create something quite rancid. The pasteurization process that kills microorganisms in milk also destroys the Vitamin C content, as well as significantly diminishes various other health benefits of raw milk. To date, Verlander has thrown two no-hitters. The next game after the second no-hitter, in 2011, he managed to get into the sixth inning before giving up a hit, making a span of 15 2/3 innings over three starts without giving up a hit. As impressive as that stretch is, Neftali Feliz of the Texas Rangers this month had just shy of a 20 inning no-hit stretch against the Seattle Mariners, spanning three seasons, snapped. The streak was finally broken during Feliz’s first start of his career (having been converted from a relief pitcher). In the 4th inning of the game, Justin Smoak, a former Ranger himself, singled off Feliz. During the 0-58 stretch the Mariners endured off of Feliz, they struck out 24 times. Further, they had just three line drives during that stretch. Ouch… Mariners…. Grade A and Grade B milk are the two varieties allowed in the United States. Grade A milk is used for direct consumption. Grade B milk is used for making cheeses and other types of milk product. There is very little difference between the two; Grade A milk is cooled using refrigeration (due to the requirement to keep it at 45 F within two hours of milking) and Grade A milk farms are inspected every six months. Grade B milk is typically cooled in cans immersed in cold flowing water underground (same temperature of 45 F). Grade B milk farms, though, only need inspected every two years. There are also a few differences in terms of bacterial count and things of this nature, but this isn’t a significant difference when factoring in eventual pasteurization and the like of milk sold to be drunk. You have to be from this area to understand the economics of the summer time. God Bless you Justin I hope you have a long and prosperous career with many championship’s. You represent God’s country out there in the world LOL.